The Lord Jesus has already returned and has a new name. He is Almighty God. The Word Appears in the Flesh expressed by Almighty God is the voice of the bridegroom. Yet many brothers and sisters are still unable to discern the voice of God. Today we have invited the preachers from The Church of Almighty God to fellowship with us about how to identify the voice of God. So we’ll know how to ascertain that Almighty God is the return of the Lord Jesus. Answer: This question is of the utmost importance. To accept God’s work of the last days and behold the appearance of God, we must know how to identify the voice of God. In fact, identifying the voice of God means recognizing the words and utterances of God and recognizing the characteristics of the Creator’s words. Regardless of whether they are the words of God become flesh, or the utterances of the Spirit of God, they are all words spoken by God to mankind from up high. Such are the tone and characteristics of God’s words. The authority and identity of God are clearly manifested. It can also be said the unique means by which the Creator speaks. God’s utterances each time He becomes flesh surely cover many areas. They primarily relate to God’s requirements and admonitions of man, the words of God’s administrative decrees and commandments, His words of judgment and chastisement, and His revelation of corrupt mankind. There are also words of prophecies and God’s promises to mankind and so on. These words are all the expression of the truth, the way, and the life. They are all the revelation of the substance of God’s life. They represent God’s disposition and all that God has and is. Man is able to see from the words expressed by God that God’s words are the truth, and they have authority, and power. Thus, if you wish to determine whether the words expressed by Almighty God are the voice of God, you can look at the words of the Lord Jesus and the words of Almighty God. You can compare them, and see whether they are the words expressed by one Spirit, and whether they are the work done by one God. If their source is the same, then this proves that Almighty God’s words are God’s utterances, and that Almighty God is the appearance of God. Let us look at the words spoken by Jehovah during the Age of Law, and the words of Jesus in the Age of Grace. They were both the direct expression of the Holy Spirit, and, moreover, were the work of one God. This proves that the Lord Jesus was the appearance of Jehovah, the appearance of the Creator. God’s sheep hear His voice. When it comes to how to specifically identify the voice of God, all will become clear if we look at the words of the Lord Jesus. Those who have read the Bible all know that in the words expressed by the Lord Jesus during the Age of Grace, there were words of admonitions, words of God’s requirements of man, and words that touched upon God’s administrative decrees. There are words of many prophecies and promises too. These words were one complete stage of work carried out by God during the Age of Grace. First, we will look at the Lord Jesus’ requirements and admonitions for man. The Lord Jesus said, “Repent: for the kingdom of heaven is at hand” (Matthew 4:17). “You are the salt of the earth: but if the salt have lost his flavor, with which shall it be salted? it is thereafter good for nothing, but to be cast out, and to be trodden under foot of men. You are the light of the world. A city that is set on an hill cannot be hid” (Matthew 5:13-14). “You shall love the Lord your God with all your heart, and with all your soul, and with all your mind. This is the first and great commandment. And the second is like to it, You shall love your neighbor as yourself. On these two commandments hang all the law and the prophets” (Matthew 22:37-40). “Blessed are the poor in spirit: for theirs is the kingdom of heaven. … Blessed are they which do hunger and thirst after righteousness: for they shall be filled. … Blessed are they which are persecuted for righteousness’ sake: for theirs is the kingdom of heaven. Blessed are you, when men shall revile you, and persecute you, and shall say all manner of evil against you falsely, for my sake. Rejoice, and be exceeding glad: for great is your reward in heaven” (Matthew 5:3, 6, 10-12). Let us look at what the Lord Jesus said about administrative decrees. The Lord Jesus said, “Why I say to you, All manner of sin and blasphemy shall be forgiven to men: but the blasphemy against the Holy Ghost shall not be forgiven to men. And whoever speaks a word against the Son of man, it shall be forgiven him: but whoever speaks against the Holy Ghost, it shall not be forgiven him, neither in this world, neither in the world to come” (Matthew 12: 31-32). “But I say to you, That whoever is angry with his brother without a cause shall be in danger of the judgment: and whoever shall say to his brother, Raca, shall be in danger of the council: but whoever shall say, You fool, shall be in danger of hell fire” (Matthew 5: 22). There are also the Lord Jesus’ words judging and exposing the Pharisees. “But woe to you, scribes and Pharisees, hypocrites! for you shut up the kingdom of heaven against men: for you neither go in yourselves, neither suffer you them that are entering to go in” (Matthew 23:13). “Woe to you, scribes and Pharisees, hypocrites! for you compass sea and land to make one proselyte, and when he is made, you make him twofold more the child of hell than yourselves” (Matthew 23:15). “Woe to you, scribes and Pharisees, hypocrites! for you are like to white washed sepulchers, which indeed appear beautiful outward, but are within full of dead men’s bones, and of all uncleanness. Even so you also outwardly appear righteous to men, but within you are full of hypocrisy and iniquity” (Matthew 23:27-28). The Lord Jesus also spoke prophecies and promises to man. “I go to prepare a place for you. And if I go and prepare a place for you, I will come again, and receive you to myself; that where I am, there you may be also” (John 14:2-3). “And if any man hear my words, and believe not, I judge him not: for I came not to judge the world, but to save the world. He that rejects me, and receives not my words, has one that judges him: the word that I have spoken, the same shall judge him in the last day” (John 14:47-48). “Behold, the tabernacle of God is with men, and he will dwell with them, and they shall be his people, and God himself shall be with them, and be their God. And God shall wipe away all tears from their eyes; and there shall be no more death, neither sorrow, nor crying, neither shall there be any more pain: for the former things are passed away” (Revelation 21:3-4). From the various truths expressed by the Lord Jesus during the Age of Grace, we can see that the Lord Jesus was the appearance of the Savior, and that the Lord Jesus’ words were God’s utterances to all mankind. He directly expressed God’s disposition and His will for mankind, to lead mankind, to provide to mankind, and personally redeem mankind. This perfectly represents the identity and authority of God Himself. Reading them immediately makes us feel that these words are the truth, and possess authority and power. These words are the voice of God, they are God’s utterances to mankind. During the last days, the Lord Jesus has returned: Almighty God has come to do the work of judgment of the last days. He has ushered in the Age of Kingdom, and brought an end to the Age of Grace. Based upon the Lord Jesus’ work of redemption, Almighty God has done the stage of work of judgment beginning from the house of God, and has expressed all truths for the purification and salvation of mankind. The words expressed by Almighty God are rich in content, and totally comprehensive. 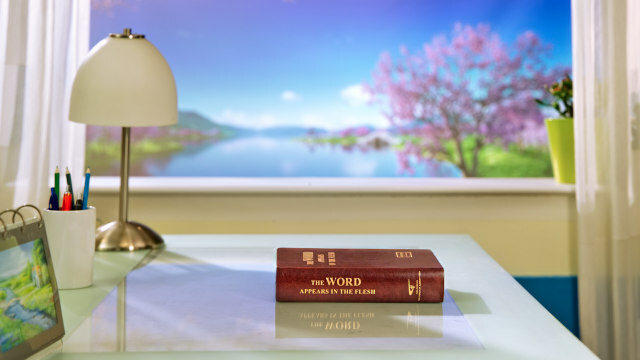 Just as Almighty God says, “It can be said that the words in this part are the first utterances since creation that God spoke to all of mankind. It is the first time God spoke to the mankind He created in such a detailed and systematic manner. It is of course also the first time God spoke to all of mankind through the most passages of His word and over the longest sustained period of time. This is something unprecedented. Moreover, the words in this part are the first writings God issued among mankind to expose man, guide man, judge man, and speak heart-to-heart to man, and the first utterances in which God made known to man His footsteps, His dwelling place, His disposition, what He has and is, His thoughts, and His care for mankind. 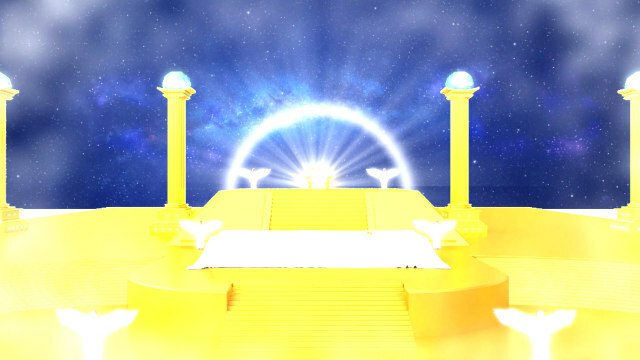 It can be said that this is the first time since creation that God spoke and uttered His voice to mankind from the third heaven, and the first time that God revealed Himself and expressed His heart’s voice to mankind through spoken words in His original identity” (Introduction to God’s Utterances to the Entire Universe in The Word Appears in the Flesh). 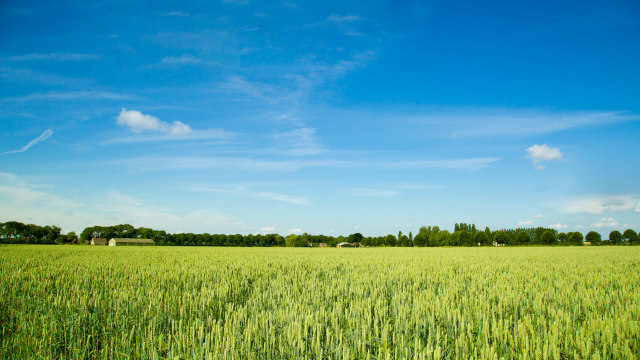 The words expressed by Almighty God are wide-ranging and rich beyond comparison. In them, there is mainly judgment, the revelation of man, and the administrative decrees and commandments of the Age of Kingdom, as well as God’s admonitions, requirements, and promises toward man, and also prophecies. Let us first read several passages of God’s words about God’s admonitions and requirements of man as well as His work. “Mankind has developed through tens of thousands of years of history to get where they are today. However, the mankind of My original creation has long ago sunk into degeneracy. They are already not what I intended, and thus people, the way I see them, are already undeserving of the name mankind. They are rather the scum of mankind, looted by Satan, and the rotten walking corpses which Satan lives in and is clothed with. People do not in the least believe in My existence, nor do they welcome My arrival. Mankind only begrudgingly responds to My requests, temporarily agrees with them, and does not sincerely share in life’s joys and sorrows with Me. As people see Me as inscrutable, they begrudgingly pretend to smile at Me, betraying their manner of coddling up to power. This is because people have no knowledge of My work, much less of My intention today. I’ll be honest with all of you—when the day comes, the suffering of anyone who worships Me will be easier to bear than yours. The degree of your faith in Me does not, in actuality, exceed that of Job—and even the faith of the Jewish Pharisees surpasses yours—so in the impending days of fire, you will suffer more seriously than the Pharisees when rebuked by Jesus, more seriously than the 250 leaders that had resisted Moses, and more seriously than Sodom under the scorching flames of its destruction” (“What a Real Man Means” in The Word Appears in the Flesh). “You only know that Jesus shall descend during the last days, but how exactly will He descend? A sinner such as you, who has just been redeemed, and has not been changed, or been perfected by God, can you be after God’s heart? For you, you who are still of your old self, it is true that you were saved by Jesus, and that you are not counted as sinners because of the salvation of God, but this does not prove that you are not sinful, and are not impure. How can you be saintly if you have not been changed? Within, you are beset by impurity, selfish and mean, yet you still wish to descend with Jesus—you should be so lucky! You have missed a step in your belief in God: You have merely been redeemed, but have not been changed. For you to be after God’s heart, God must personally do the work of changing and cleansing you; if you are only redeemed, you will be incapable of attaining sanctity. In this way you will be unqualified to share in the good blessings of God, for you have missed out a step in God’s work of managing man, which is the key step of changing and perfecting. And so you, a sinner who has just been redeemed, are incapable of directly inheriting God’s inheritance” (“Concerning Appellations and Identity” in The Word Appears in the Flesh). “You must know what kind of people I desire; those who are impure are not permitted to enter into the kingdom, those who are impure are not permitted to besmirch the holy ground. Though you may have done much work, and have worked for many years, in the end if you are still deplorably filthy—it is intolerable to Heaven that you wish to enter My kingdom! From the foundation of the world until today, never have I offered easy access to My kingdom to those who curry favor with Me. This is a heavenly law, and no one can break it! You must seek life. Today, those who will be made perfect are the same kind as Peter: They are those who seek changes in their own disposition, and are willing to bear testimony to God and perform their duty as a creature of God. Only people such as this will be made perfect. If you only look to rewards, and do not seek to change your own life disposition, then all your efforts will be in vain—and this is an unalterable truth!” (“Success or Failure Depends on the Path That Man Walks” in The Word Appears in the Flesh). “In the last days, Christ uses a variety of truths to teach man, reveal the essence of man, and dissect his words and deeds. These words comprise various truths, such as man’s duty, how man should obey God, how man should be loyal to God, how man ought to live out the normal humanity, as well as the wisdom and disposition of God, and so on. These words are all focused on the essence of man and his corrupt disposition. In particular, those words that reveal how man spurns God are spoken in regard to how man is an embodiment of Satan and an enemy force against God. When God does the work of judgment, He does not simply make clear the nature of man with just a few words, but carries out revelation, dealing, and pruning over the long term. Such manner of revelation, dealing, and pruning cannot be substituted with ordinary words but with the truth that man does not possess at all. Only such manner of work is deemed judgment; only through such judgment can man be persuaded, be thoroughly convinced into submission to God, and gain true knowledge of God. What the work of judgment brings about is man’s understanding of the true face of God and the truth about his rebelliousness. The work of judgment allows man to gain much understanding of the will of God, of the purpose of God’s work, and of the mysteries that could not be understood by man. It also allows man to recognize and know his corrupt substance and the roots of his corruption, as well as to discover the ugliness of man. These effects are all brought about by the work of judgment, for the substance of such work is actually the work of opening up the truth, way, and life of God to all those who have faith in Him. This work is the work of judgment done by God” (“Christ Does the Work of Judgment With the Truth” in The Word Appears in the Flesh). “In His final work of concluding the age, God’s disposition is one of chastisement and judgment, which reveals all that is unrighteous, and publicly judges all peoples, and perfects those who truly love Him. Only a disposition such as this can bring the age to an end. The last days have already arrived. All things will be classed according to kind, and will be divided into different categories based on their nature. This is the time in which God reveals the end and the destination of man. If man does not undergo chastisement and judgment, then there will be no way of revealing the disobedience and unrighteousness of man. Only through chastisement and judgment can the end of all things be revealed. Man only shows his true colors when he is chastised and judged. Evil shall return to evil, good shall return to good, and man shall be classified according to kind. Through chastisement and judgment, the end of all things shall be revealed, so that the evil shall be punished and the good shall be rewarded, and all people shall become subject under the dominion of God. All the work requires righteous chastisement and judgment to be achieved. 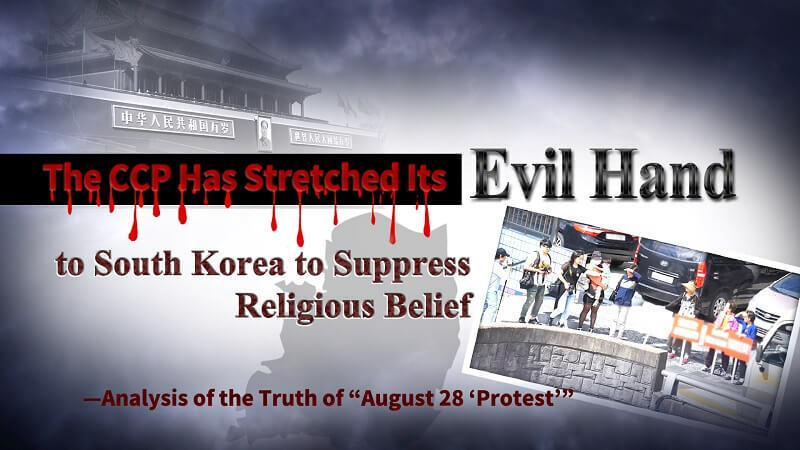 Because man’s corruption has reached its peak and his disobedience has been too serious, only God’s righteous disposition, which is principally one of chastisement and judgment, and is revealed during the last days, can fully transform and complete man. Only this disposition can expose evil and thus severely punish all the unrighteous. … During the last days, only righteous judgment can classify man and bring man into a new realm. In this way, the entire age is brought to an end through God’s righteous disposition of judgment and chastisement” (“The Vision of God’s Work (3)” in The Word Appears in the Flesh). “Do you understand now what is judgment and what is truth? If you now understand, then I exhort you to submit to judgment, otherwise you shall never have the opportunity to be commended by God or to be taken by God into His kingdom. Those who only accept judgment but can never be purified, that is, those who flee in the midst of the work of judgment, shall forever be detested and rejected by God. Their sins are much more, and more grievous, than those of the Pharisees, for they have betrayed God and are rebels against God. Such men who are not worthy even to do service shall receive more severe, everlasting punishment. God shall not spare any traitor who once claimed loyalty with words yet then betrayed Him. Such men shall see retribution through punishment of the spirit, soul, and body. Does this not reveal the righteous disposition of God? Is this not exactly the purpose of God’s judgment and revelation of man? God shall place all those who perform all kinds of wicked deeds during the time of judgment in the place where evil spirits live for their fleshly bodies to be destroyed at the will of the spirits. Their bodies shall give off the odor of a corpse, and such is their fitting retribution. God writes down in their record books each and every one of the sins of those disloyal false believers, false apostles, and false workers, then when the time is right, He casts them amidst the unclean spirits so their entire bodies may be defiled by the spirits at will and, as a result, they will never be reincarnated and shall never again see the light. Those hypocrites who did service at one time but are unable to remain loyal to the end shall be numbered by God among the wicked so that they walk in the counsel of the wicked, becoming part of the disorderly multitude. In the end, God shall destroy them. God casts aside and takes no notice of those who have never been loyal to Christ or dedicated any effort, and shall destroy them all in the change of ages. They shall no longer exist on earth, much less gain passage into the kingdom of God. Those who have never been true to God but are forced into dealing with God shall be numbered among those who do service for His people. Only a small number of such men can survive, while the majority shall perish along with those who are not qualified even to do service. Finally, God shall bring into His kingdom all those who are of the same mind as God, the people and sons of God as well as those predestined by God to be priests. Such is the fruit begotten by God through His work. As for those who can belong to none of the categories set by God, they shall be numbered among the unbelievers. And you can surely imagine what their outcome shall be. I have already said to you all that I should say; the road that you choose shall be your decision to make. What you should understand is this: The work of God never waits for any that cannot keep pace with God, and the righteous disposition of God shows no mercy to any man” (“Christ Does the Work of Judgment With the Truth” in The Word Appears in the Flesh). “I will hurl forth My rage upon its nations, openly promulgating My administrative decrees throughout the universe, and visit chastisement on whomever violates them: As I turn My face to the universe to speak, all mankind hears My voice, and thereupon sees all the works I have wrought throughout the universe. Those who go contrary to My will, that is to say, who oppose Me with the deeds of man, will fall down under My chastisement. I will take the multitudinous stars in the heavens and make them anew, and thanks to Me the sun and the moon will be renewed—the skies will no longer be as they were; the myriad things on the earth will be renewed. All will become complete through My words. The many nations within the universe will be partitioned afresh and replaced by My nation, so that the nations upon the earth will disappear forever and become a nation that worships Me; all the nations of the earth will be destroyed, and will cease to exist. Of the human beings within the universe, all those belonging to the devil will be exterminated; all who worship Satan will be laid low by My burning fire—that is, except for those now within the stream, the rest will be turned to ashes. When I chastise the many peoples, those in the religious world will, in differing degrees, return to My kingdom, conquered by My works, because they will have seen the advent of “the Holy One riding on a white cloud.” All of humanity will follow their own kind, and will receive chastisements varying with what they have done. Those who have stood against Me will all perish; as for those whose deeds on the earth have not involved Me, they will, because of how they have acquitted themselves, continue to exist on the earth under the governance of My sons and My people. I will reveal Myself to the myriad peoples and the myriad nations, sounding forth with My own voice upon the earth to proclaim the completion of My great work for all mankind to see with their own eyes” (“The Twenty-sixth Utterance” of God’s Utterances to the Entire Universe in The Word Appears in the Flesh). I’ll read another passages of Almighty God’s prophecies and His promise to man. “In the kingdom, the myriad things of creation begin to revive and regain their life force. Due to changes in the state of the earth, the boundaries between one land and another also begin to shift. Formerly, I have prophesied: When land is divided from land, and land unites with land, this will be the time that I will smash up the nations into smithereens. At this time, I will renew all of creation and repartition the entire universe, thereby putting the universe in order, transforming its old state into a new one. This is My plan. These are My works. When the nations and the peoples of the world all return before My throne, I will thereupon take all the bounty of heaven and confer it upon the human world, so that, thanks to Me, it will brim with matchless bounty” (“The Twenty-sixth Utterance” of God’s Utterances to the Entire Universe in The Word Appears). “Following the completion of My words, the kingdom is gradually formed on earth and man is gradually returned to normality, and thus there is established on earth the kingdom in My heart. In the kingdom, all the people of God recover the life of normal man. Gone is the frosty winter, replaced by a world of cities of spring, where it is spring all year round. No longer are people faced with the gloomy, miserable world of man, no longer do they endure the cold chill of the world of man. People do not fight with each other, countries do not go to war against each other, no longer is there carnage and the blood that flows from carnage; all lands are filled with happiness, and everywhere teems with warmth between men” (“The Twentieth Utterance” of God’s Utterances to the Entire Universe in The Word Appears). After we hear the words of Almighty God, we have seen that Almighty God and the Lord Jesus are one and the same. They are both God incarnate standing upon high and speaking to mankind. What They both reveal is God’s disposition and His holy substance. And in this, they perfectly demonstrate God’s authority and identity. From the Lord Jesus’ words of judgment and revelation of the Pharisees and Almighty God’s words of judgment and revelation of corrupt mankind, we see that God hates evil, and despises the corruption of mankind. We see God’s righteous and holy disposition, and moreover, that God observes the depths of man’s heart. Mankind’s corruption is as familiar to Him as the back of His hand. 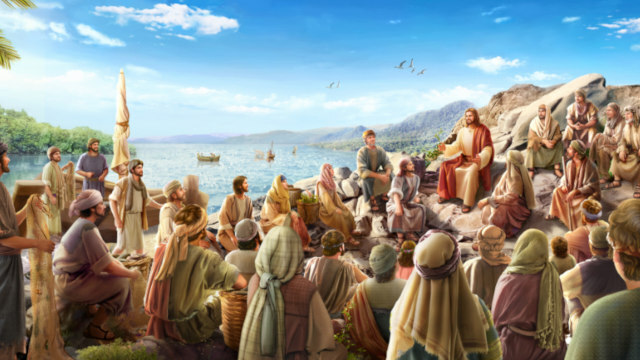 From the Lord Jesus’ and Almighty God’s admonitions and requirements of mankind, we see God’s expectations of mankind, God likes those who are honest, and He blesses those who truly dedicate themselves to Him. This shows us God’s concern for, and salvation of mankind. From the Lord Jesus’ and Almighty God’s promises for mankind, we see God’s love for mankind, and, moreover, we behold the authority and power with which God commands the fate of mankind and rules over all things. The Lord Jesus’ and Almighty God’s utterances are alike in both tone and way of speaking, they are both the expression of God’s disposition. This perfectly demonstrates the identity and substance of God. Who, apart from the Creator, could express words to the whole mankind? Who could directly express God’s will, and make demands of mankind? Who could decide man’s end? Who could control whether they live or die? Who could control the stars in the universe, and hold dominion over all things? Apart from God, who could see through to the truth of the substance of corrupt mankind? And who could reveal the satanic nature hidden within the depths of our hearts? Who could accomplish God’s work of judgment of the last days and thoroughly save us from the influence of Satan? Only the Creator is possessed of such authority and power! Almighty God’s words perfectly demonstrate God’s unique authority and identity. After hearing the words of Almighty God, we all feel such confirmation in our hearts: These words are all expressed by God, they are the voice of God. They are all the truths expressed by the Creator during the work of judgment of the last days. In our hearts, there is immediately born the true reverence of God. After reading the words of Almighty God, do you have the same sensation? This sufficiently proves that the words of Almighty God and the words of the Lord Jesus come from the same source. They are both the expression of one Spirit. They are the utterances of one God toward mankind in different ages. During the last days, Almighty God does the work of judgment beginning from the house of God based upon the foundation of the work of redemption of the Lord Jesus. 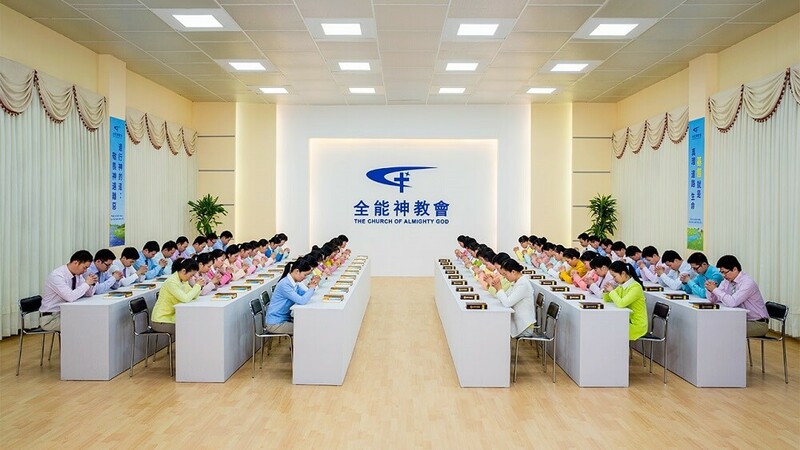 Almighty God expresses all the words for the salvation and purification of mankind, and reveals all the mysteries of God’s management plan for the salvation of mankind, and tells us clearly of the substance of various aspects of the truth. They open our eyes, and utterly convince us. Almighty God’s word and work have fulfilled and accomplished all the prophecies of the Lord Jesus. In all the words expressed by Almighty God for the work of judgment of the last days, we recognize the voice of God, and ascertain that Almighty God is the return of the Lord Jesus, the one true God who created the heavens and earth and all things, comes to do the work of judgment in the last days. He comes to end the rule of Satan on earth, the era of evil and darkness, and to usher in God’s rule on earth, the Age of Millennial Kingdom. And this brings true our beautiful wish of entering into the kingdom of heaven. Has Almighty God’s work in the last days accomplished all of the prophecies of the Lord Jesus? When the Lord Jesus Comes Knocking on the Door, How Should We Welcome Him? 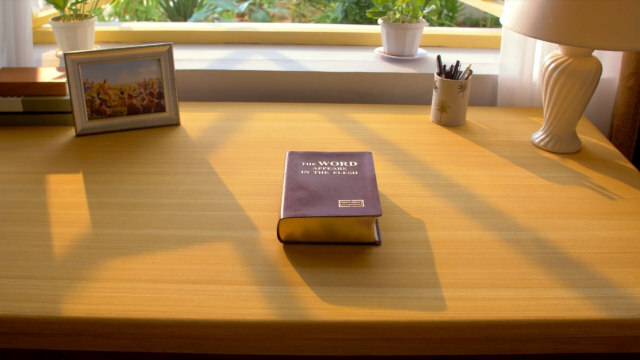 By Xiao Fei After believing in the Lord, brothers and sisters all like singing the song “The Beloved Is Urgently Knocking on the Door Outside”: “The Beloved is urgently knocking on the door outside. His locks are filled with the drops of the night dew. Come on, get up to..
On the matter of welcoming the Jesus’ second coming, let’s learn lessons from the Pharisees’ failure and imitate Peter, John and the Lord’s other followers. Bible Verses for Reference: “Then shall the kingdom of heaven be likened to ten virgins, which took their lamps, and went forth to meet the bridegroom. … five were foolish. They that were foolish took their lamps, and took no oil with them: … While the bridegroom tarried, they all..
How Should We Prepare Oil to Be Wise Virgins? By Tong Tong Jesus Christ said: “Then shall the kingdom of heaven be likened to ten virgins, which took their lamps, and went forth to meet the bridegroom. And five of them were wise, and five were foolish. They that were foolish took their lamps, and took no oil with..